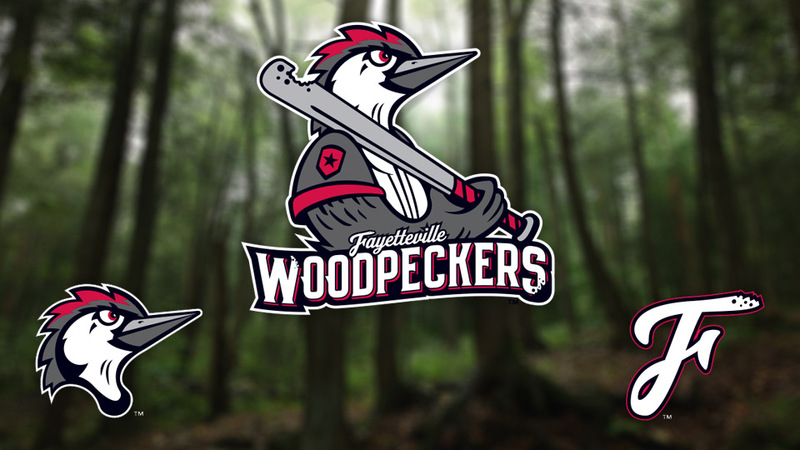 Fayetteville's new Carolina League team will be known as the Woodpeckers, referencing their city's tough and resilient spirit. In 2019, after a 17-year absence, Minor League Baseball is returning to Fayetteville, North Carolina. As of Sunday, the city's new team has a name: the Woodpeckers. The Fayetteville Woodpeckers spent the previous two seasons playing as the Buies Creek Astros, who operated out of Campbell University's Jim Perry Stadium. The move to Fayetteville coincides with the opening of a new ballpark, scheduled to be completed in March. The Woodpeckers, a Class A Advanced Carolina League entity, are owned and operated by their parent Houston Astros. Fayetteville last hosted Minor League Baseball in the form of the South Atlantic League's Cape Fear Crocs, who relocated to Lakewood, New Jersey, following the 2000 season. The road to the Woodpeckers began with an April 2017 "Name the Team" contest that received more than 1,300 entries. The front office -- headed by president Mark Zarthar -- narrowed that down to five finalists: Fatbacks, Fly Traps, Jumpers and Wood Dogs were the other four. "Woodpeckers received the most votes, which was a positive sign for us," said Zarthar, formerly the global head of sports marketing for Anheuser-Busch InBev. "Our favorite was the Woodpeckers, and that's what the community voted for, so we consider this a joint decision of sorts." Fayetteville is the home of Fort Bragg, the world's largest military installation. The Woodpeckers' name and branding -- designed by the team internally -- make myriad references to the community's deep ties to those who serve. "Woodpeckers are small but resilient. They're considered to be a tough bird and an important part of the ecosystem," Zarthar said. "They control the insect population and assist other birds finding places to nest. Those traits match Fayetteville, which is vital to the protection of our country, with Fort Bragg located here. "In terms of [team] colors, red and black are not only the primary colors of the [red-cockaded] woodpecker, but also of the U.S. Army Special Operations Command, which is headquartered at Fort Bragg," he continued. "It should do well with the military crowd. It's edgy, these are tough colors, and when you see the logos and the uniforms, it helps bring the story to life." Deepening the connection is the strong presence of actual woodpeckers in Fayetteville, particularly within Fort Bragg. The red-cockaded woodpecker population has rebounded greatly in recent years, largely in part to limitations that had been placed on training exercises within woodpecker habitats. Fort Bragg has the world's second-largest population of red-cockaded woodpeckers, which remain an endangered species. "[Woodpeckers] are seen and heard throughout the city," Zarthar said. "We recognized that, the importance of the role that the bird plays on Fort Bragg and to the people who live on the base." The Woodpeckers will open the 2019 campaign with a 14-game road trip. Their first game in Fayetteville will be April 18 against the Carolina Mudcats. Benjamin Hill is a reporter for MiLB.com and writes Ben's Biz Blog. Follow Ben on Twitter This story was not subject to the approval of the National Association of Professional Baseball Leagues or its clubs.